I was the mom who bought her children rain outfits and sent them out to play in the rain... and they loved it! 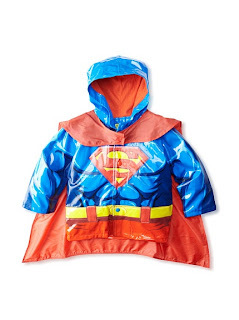 Imagine how snazzy they would have looked in these raincoats and boots? Whether they're playing in rain puddles or braving the storm, your little ones are sure to love these selections from Western Chief. 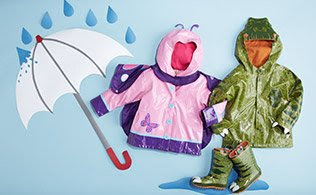 Made from waterproof materials, these umbrellas, raincoats and boots keep kids dry, while colorful prints and delightful details ensure they look cute too. Who says rainy days can't be full of fun? NOTE: If this is your first time, after you sign in, click on the "Children" tab, then "Western Chief"